The 50th Anniversary of Decimal currency is in 2016. The Royal Australian Mint is celebrating this by traveling around with the Mobile press and producing a counterstamp coin. 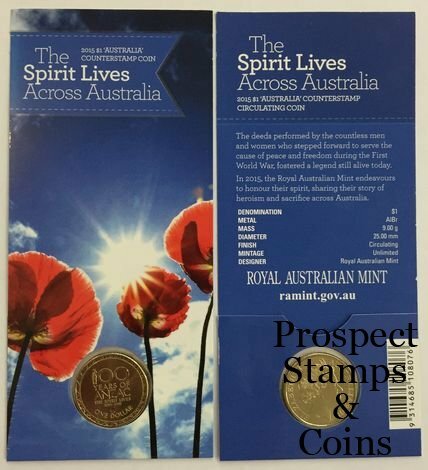 The 2015 The Spirit Lives 100 years of ANZAC is being counterstamp with a map of Australia. There has been long queues already at these events with customers waiting over 1.5hrs to obtain this coin. We have secured some to be able to supply our customers.